Aboriginal and Torres Strait Islander imprisonment rates have been steadily rising and are worse than any time in recent memory. This is a national problem that demands a national solution. I have just published an opinion piece on this topic in Open Forum, entitled “Indigenous imprisonment in Australia: a crisis of mass incarceration”. I have also re-posted the full article on this blog, along with a short addition. I am too young to remember Dr Martin Luther King, but I am not that young that I have not been deeply influenced by his legacy as the leading American civil rights campaigner. “Selma”, the biopic of a slice of Martin Luther King’s life, can be a deeply affecting experience, at least for those of us for whom the American civil rights movement remains an important cultural, political and social touchstone. Director Ava DuVernay, an African-American woman who seems to have held many roles in film from publicist to writer and director, has arrived without fanfare to show us that she is one of the strongest directors in contemporary film. Her re-creation of historical events – a number of key activities taking place primarily in Alabama in the southern US – and her ability to portray recent historical figures on screen is astonishing, especially African-Americans: King himself (an amazing performance by David Oyelowo), Coretta Scott King (Carmen Ejogo), Andrew Young (Andre Holland), Bayard Rustin, Mahalia Jackson, Ralph Abernathy, Annie Lee Cooper (Oprah Winfrey) and even a brief appearance by Malcolm X (Nigel Thatch). The white historical figures are equally as good: Johnson (Tom Wilkinson), Governor George Wallace of Alabama (Roth), J. Edgar Hoover (Dylan Baker) and a host of others. But the film’s ability to get “inside” the African-American characters gives them three-dimensionality, substance and coherent identity – that is this film’s greatest achievement. Those who live outside of the USA, unless they have read widely in American history, have no true concept of the enduring stain and trail of social dysfunction and blight that the history of slavery and racism has left on that country. Even today, African-Americans are heavily over-represented in American jails and prisons: six times the rate of whites, and nine times the rate for young black men.rs in jail. As the film “Selma” points out, institutionalised disenfranchisement of African-Americans did not end with the abolition of slavery by Abraham Lincoln in 1863. As late as the mid-1960s, African-American voting rights were widely ignored, particularly – and especially – in the south. Just to be clear, this meant that in large areas of the south at that time, African-Americans simply were unable to vote, enforced through a wide range of tricks, regulations and petty bureaucracies. In turn this meant that they could not serve of trial juries, with deeply negative implications for African-American interactions with the justice and court systems. The master strategist King understood all of that. In an early scene in “Selma”, an older African-American woman attempts to enrol to vote and is asked a wide range of questions, including reciting the preamble to the American Constitution (she can, can you? ), and finally rejected. It’s a heartbreaking moment; the woman is Annie Lee Cooper (Oprah Winfrey). It’s a shame that “Selma” will not be more widely seen in the USA or even here in Australia, where it has barely registered with the audience, other than with film critics, who wholeheartedly endorsed it. The American civil rights movement had a direct effect on the cause of Indigenous justice here in Australia, inspiring a wide range of campaigners. But aside from Barack Obama, whose personal story captured the attention of many Australians, African-American stories are not popular here. 1. Focus on one small part of the character’s life. 2. Focus on the backroom deals, the horse-trading, the deal-making and the compromises needed to make progress. 3. Cast an actor who’s as good a listener as David Oyelowo, who’s commanding without ever feeling pre-bronzed because he’s constantly leaning in to what everyone’s saying and weighing information. 4. On top of that, get someone like Ava DuVernay to direct, as she’ll get the least-showy performances out of both actors that tend to show off (Cuba Gooding, Jr., Giovanni Ribisi) or characters that beg actors to give show-stopping performances (George Wallace, LBJ). Everything is perfectly measured, and with the exception of Martin Sheen as the world’s most dignified judge, none of the stars are particularly distracting (also: props to Oprah for never making scenes about her even in movies that seem to encourage it, a la “The Butler”). 5. Show the violence honestly without ever lingering too much on the brutality, instead showcasing how it affects the people and how they’ll have to adapt (or not). 6. When dealing with questions of whether or not the film’s noble center was a flawed man, don’t dodge the issue (here, it’s MLK’s philandering). Show how it hurt the people around them. At the same time, show how it’s just one facet, not an all-consuming problem, and that it’s insignificant compared to the work he did. I particularly love O’Connell’s point number 3: David Oyelowo’s King actively LISTENS to the people around him. This is something that a large number of leaders and those in power are unable or unwilling to do. 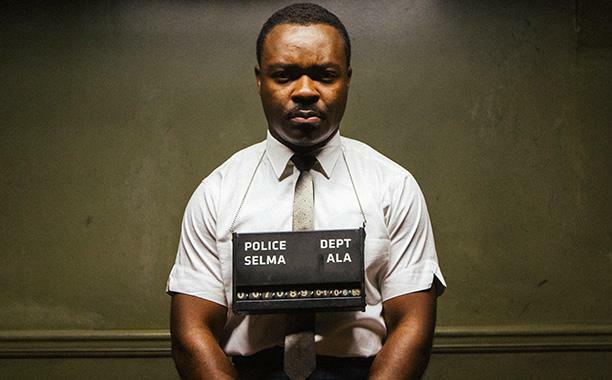 King apparently did this, and in “Selma” Oyelowo illustrates it beautifully, in scene after scene. In his short film career – Oyelowo has also starred in “The Butler” – for me, this actor with the sonorous voice has already earned his place in the pantheon of great screen performances, Oscar nominations or not. You are currently browsing the Don Perlgut's Blog blog archives for March, 2015.